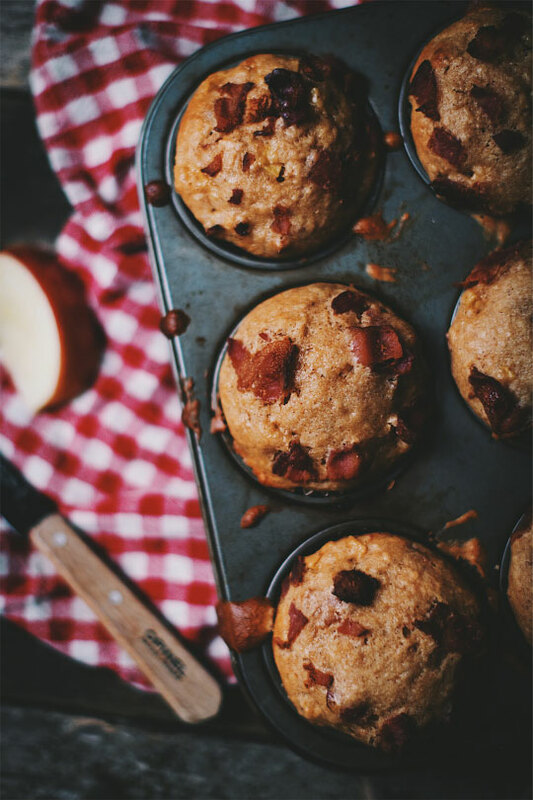 These apple and maple bacon muffins were created to support the Société canadienne de la sclérose en plaques. I took part in filming a comedy video with the aTLAs Team to help raise funds for their fundraising campaign. You HAVE to watch the video !!! Preheat the oven to 400 °F. Cover a large baking sheet with parchment paper. Place the bacon slices on the baking sheet and place in the oven. 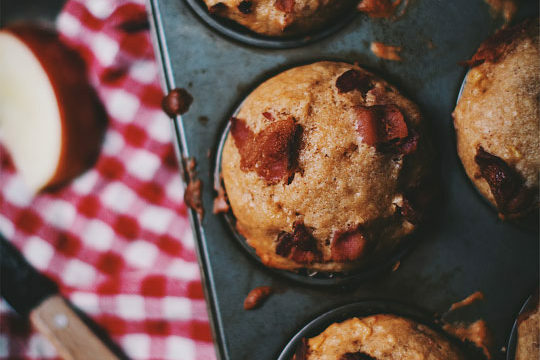 Cook until bacon is slightly crisp, about 15 minutes. Remove from the sheet and sponge the fat with paper towels. Chop roughly and reserve. Preheat oven to 375 °F. Line 12 muffin cups with paper or silicone sleeves. In a large bowl, add flour, cinnamon, baking powder, nutmeg and salt. Mix and reserve. In another large bowl, add remaining ingredients except bacon and apple. Mix with a whisk to break the brown sugar. Pour the wet into the dry ingredients and stir with a whisk to incorporate well. Do not over mix. Add 3/4 of bacon and all the apples and mix by folding. 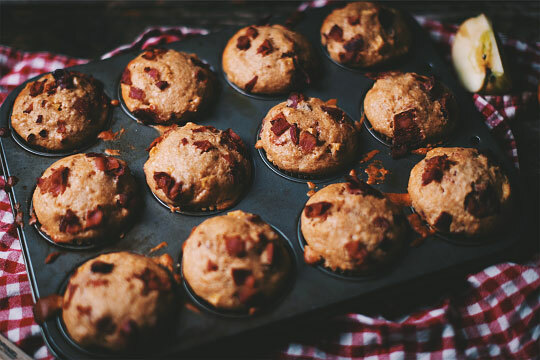 Divide the mixture into the muffin cups and decorate the top with the remaining bacon. Place in the oven and cook for 25 to 30 minutes or until a toothpick comes out dry when poked in the center. Remove from the oven and let stand for 20 minutes before eating!